Arango Santiago, Ricardo Smith, Isaac Dyner, & Silvia Osorio, “System Dynamic Model to Analize Investmets In Power Generation In Colombia”, Proceedings of the 20th International Conference of the System Dynamics Society, 2002, Palermo, Italy. Assili, Mohsen, M. Hossein Javidi D.B., Reza Ghazi, “An Improved Mechanism for Capacity Payment Based on System Dynamics Modeling for Investment Planning in Competitive Electricity Environment” Energy Policy 36, 2008, 3703– 3713. Bagnall, Anthony J. & George D. Smith, “A Multi-Agent Model of the UK Market in Electricity Generation“, IEEE Transactions on Evolutionary Computation, 9:5, 2005, 522-536. Botterud, A., M. Korpas, K. Vogstad and I. Wangensteen, “A Dynamic Simulation Model for Long-Term Analysis of the Power Market”, Proceedings 14th Power Systems Computation Conference 2002, Seville, Spain. Chappin, Emile.J.L. & Gerard. P.J. Dijkema, “An Agent Based Model of the System of Electricity Production Systems: Exploring the Impact of CO2 Emission- Trading”, System of Systems Engineering (SoSE '07) IEEE Uluslararası Konferansı, 16-18 Nisan 2007, 1-5, San Antonio, Teksas, ABD. Czernohous, Clements, Wolf Fichtner, Daniel J. Veit, Christof Weinhardt, “Management decision support using long-term market simulation”, Journal of Information Systems and e-Business Management (ISeB), 1:4, 2003, 405-423. Davis, Stephen & Ian Durbach, “Modelling Household Responses To Energy Eciency Interventions Via System Dynamics and Survey Data”, ORION, 26:2, 2010, 79-96. Genoese, Massimo, Dominik Möst, Frank Sensfuß, Otto Rentz, “An Agent-based Model to Analyse the Long-term Development of the German Electricity System”, the 29th IAEE International Conference, 7-9 June 2006, Potsdam, Germany. Hilary Flynn, Dwayne Breger, Andrew Belden, Asmeret Bier , Chad Laurent , Natalie Andrews & Wilson Rickerson, “System Dynamics Modeling of the Massachusetts SREC Market”, Sustainability 2:9, 2010, 2746-2761. Flynn, Hilary & Andrew Ford, “A System Dynamics Study of Carbon Cycling and Electricity Generation from Energy Crops”, Proceedings of the 23rd International Conference of the System Dynamics Society, July 17-21, 2005 Boston. Ford, Andrew, “Waiting for the boom: a simulation study of power plant construction in California”, Energy Policy 29, 2001, 847-869. Ford, Andrew, “Cycles in competitive electricity markets: a simulation study of the Western US”, Energy Policy 27, 1999, 627-658. M. Gebremicael, H. Yuan and K. Tomsovic, “Use of System Dynamics for Studying a Restructured West African Power Pool”, the 2009 IEEE PES General Meeting, Calgary, July 2009. Genoese, Massimo, Frank Sensfuß, Anke Weidlich, Dominik Möst & Otto Rentz, “Development of an agent-based model to analyse the effect of renewable energy on electricity markets”, the 19th international conference informatics for environmental protection (Enviroinfo Brno 2005), 7 – 9 Eylül 2005, 542-547, Masaryk Üniversitesi, Brno, Çek Cumhuriyeti. T. Jäger, S. Schmidt, U. Karl, “A System Dynamics Model for The German Electricity Market –Model Development and Application”, 27th International Conference of the System Dynamics Society, ,July 26-30 2009, Albuquerque, New Mexico. Jahangiri Pedram, Di Wu, Wanning Li, Dionysios C. Aliprantis, Leigh Tesfatsion, “Development of an Agent-Based Distribution Test Feeder with Smart-Grid Functionality”, the IEEE Power and Energy Society General Meeting, San Diego, CA, July 22-26, 2012. Lahlou, Abdelaziz, “Multi-Agent Modelling of Electricity Markets: Transaction Processes and Generation Capacity Expansion under Competition”, doktora tezi, EPFL, Tez danışmanı: E. Gnansounou, Lausanne, İsviçre, Eylül 2007. Jalal, Thahirah S., Pat Bodger, “The Development of a System Dynamics Model for Electricity Generation Expansion in New Zealand”, Electricity Engineers' Association (EEA) Conference, 17-18 June 2010, Christchurch, New Zealand. Pfluger, Benjamin, Frank Sensfuss, Martin Wietschel, “Agent-based simulation of the effects of an import of electricity from renewable sources in Northern Africa into the Italian power market”, 6. Internationale Energiewirtschaftstagung an der TU Wien, February 11-13 2009. Rastegar, Mohammad A., Eric Guerci, and Silvano Cincotti, “Forward Contract Effects in the Italian Whole-sale Electricity Market”, içinde: Handbook of Power Systems II, (Editörler: Rebennack, S., Pardalos, P.M., Pereira, M.V.F., Iliadis, N.A), Springer, 2010, ss 241-286. Sanchez, Juan, Julian Barquin, Efraim Centeno & Alvaro Lopez-Pena, “System Dynamics Models for Generation Expansion Planning in a Competitive Framework: Oligopoly and Market Power Representation”, the 2007 International Conference of the System Dynamics Society and 50th Anniversay Celebration, July 29-August 2, 2007, Boston, Massachusetts, USA. Sensfuß, Frank, Mario Ragwitz, Massimo Genoese, “The merit-order effect: A detailed analysis of the price effect of renewable electricity generation on spot market prices in Germany”, Energy Policy 36:8, August 2008, 3086– 3094. Sugianto, Ly-Fie, “Simulating a Competitive Electricity Market”, SIG GlobDev Third Annual Workshop, December 12, 2010, Saint Louis, USA. Vaziri, Hoda & Mohammad Akbarpour, “An Investigation into Electricity Subsidy Dynamics by a System Dynamics Approach”, the 2007 International Conference of the System Dynamics Society and 50th Anniversay Celebration, July 29 – August 2, 2007, Boston, Massachusetts, USA. Veit, Daniel, Wolf Fichtner, Mario Ragwitz, “Agent-based Computational Economics in Power Markets – Multi-agent Based Simulation as a Tool for Decision Support, Multiple Participant Decision Making”, in: J. Andrysek, M.
Karny, J. Kracik, (Ed) International Series on Advanced Intelligence, cilt 9, 2004, Advanced Knowledge International, Adelaide, Avusturalya. Ventosa, Mariano, Alvaro Baillo, Andres Ramos ve Michel Rivier. “Electricity Market Modeling Trends”, Energy Policy. 33, 2005, 897-913. Vogstad, K, “Stochasticity in electricity markets: combining system dynamics with financial economics”, Proceedings System Dynamics Conference, 2006, Nijmegen, the Netherlands. Vogstad, K, “Counterproductive environmental policies: Long term versus short term substitution effects of gas in a liberalised electricity market.” System Dynamics Conference, 2004, Oxford, UK. Vogstad, K., I. S. Kristensen and O. Wolfgang. “Tradable green certificates: The dynamics of coupled electricity markets”, 2003, Proceedings System Dynamics Conference, New York, USA. Vogstad, K., A., Botterud, K. M. Maribu & S. Grenaa, “The transition from a fossil fuelled towards a renewable power supply in a deregulated electricity market”, Proceedings System Dynamics Conference 2002, Palermo, Italy. Weidlich, Anke & Daniel, Veit, “A critical survey of agent-based wholesale electricity market models”, Energy Economics 30:4, 2008, 1728–1759. Weidlich, Anke Frank Sensfuß, Massimo Genoese & Dominik Veit, “Studying the effects of CO2 emissions trading on the electricity market: A multi-agent-based approach”, in: R. Antes (Ed), Emissions Trading: Institutional Design, Decision Making and Corporate Strategies, NY: Springer, 2008, ss 91-101. Wen, F.S., Felix F. Wu, Y.X. Ni, “Generation Capacity Adequacy İn The Competitive Electricity Market Environment”, Electrical Power and Energy Systems 26:5, June 2004, 365–372. Decision Support Systems, 28:3, May 2000, 279–290. ISNAD Çırpıcı, Yasemin Asu , Şahin, Serçin , Sunal, Seçkin , Eren, Ercan . "Değişen Dinamikler Çerçevesinde Elektrik Piyasasına Yönelik Modelleme Yöntemleri: Bir Literatür Taraması". 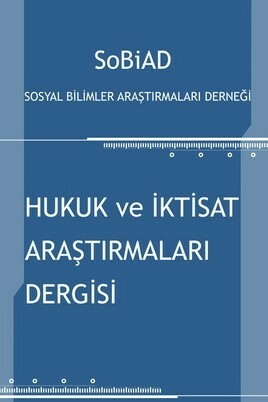 Hukuk ve İktisat Araştırmaları Dergisi 4 / 1 (June 2012): 315-325.